Indonesia Terrazzo cement is a versatile flooring material of recycled marble chipping embedded into a cement base. It is mechanically polished without the use of chemicals to create a smooth, uniform surface, making it an ecologically-friendly and low maintenance option. Invented by Venetian mosaic workers in the 15th century, Terrazzo Tiles was initially made with scrap marble set in clay and sealed with goat milk. The enduring beauty and extreme durability of terrazzo mean that it is enjoying a current revival in both commercial and residential applications. 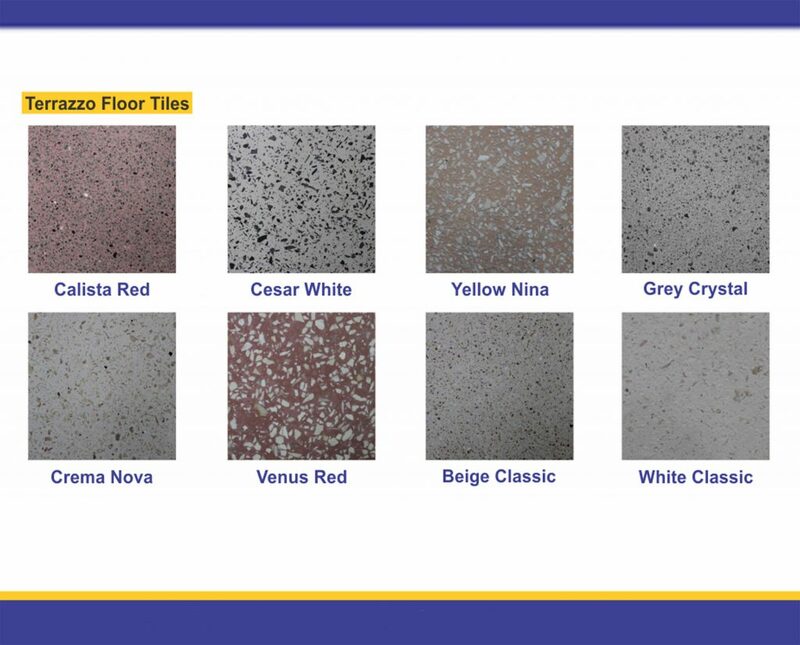 Concrete Terrazzo Terramix is our latest product innovation in the form of powder terrazzo. Concrete Terrazzo Terramix is very easy to instal like cement on the installation process because it’s packagaded by simple bag packaging. 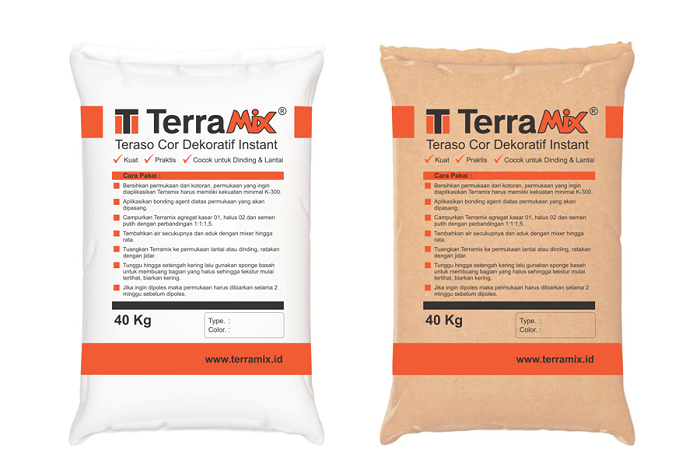 Clean the surface area of you want to use from various impurities, for the surface you want to apply Concrete Terrazzo Terramix is recommended to have a minimum strength of K-300. Next apply the bonding agent on the surface that will be used. Bonding agent has a function as a binding glue / reinforcement between old concrete and terrazzo materials that will be installed. 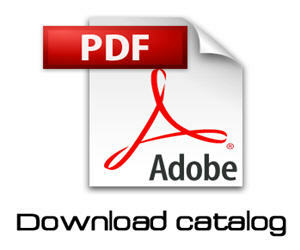 In general, Bonding Agents have several well-known brands such as Calbond, Sikacim, etc. After that, mix Terramix products in the form of coarse, fine aggregates and white cement (any brand, recommended using the Tiga Roda Brand white cement) with a ratio of 1: 1: 1.5. For easier use a small bucket as a measure. Add enough water and mix with the mixer until blended. Pour the Terramix product on the surface of the floor or wall, then smooth it with jidar. Wait a while until it is half dry and then use a wet sponge to remove the smooth part so the texture starts to appear, then let it dry. If you want to be polished, the surface must be left for 2 weeks before polishing.